My husband and I plan to take a road trip from Southern California to Utah this summer, and I’m hoping to stop along the way at some filming locations for old western movies or television shows. Do you have any suggestions? Also, if you know of any western movie museums I’d love to hear about them. My husband uses a manual wheelchair, so of course they would need to be accessible. 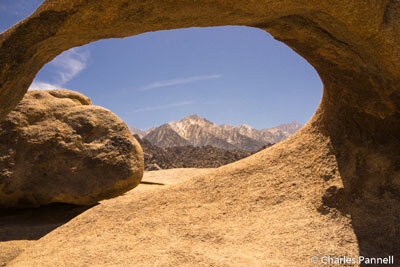 Interestingly enough there’s a major filming location in your home state — The Alabama Hills. Located in Lone Pine just off Highway 395, Whitney Portal Road was once known as Movie Road, because so many films were shot there. Starting in 1919 The Round-Up was filmed in the Alabama Hills, and over the years all the big western actors — including Tom Mix, Gene Autry and John Wayne — shot on location there. And although the scenery was perfect for westerns, The Twilight Zone,Star Trek 5 and Tremors were also filmed there. Download the self-guided driving tour of Movie Road at movie_road_tour_brochure.pdf and see how many movie locations you can find. Although there’s no accessible parking along the route, there are level spaces to pull over near the filming sites. Be sure and stop in at the Museum of Western Film History (www.facebook.com /LonePineMuseum OfWestern FilmHistory) while you’re in town. There’s accessible parking in front of the museum with level access to the front door. Inside, there’s plenty of room to navigate a wheelchair around the large collection of memorabilia from movies filmed in Lone Pine. From saddles and posters, to costumes, props and even a stage coach, there’s a lot to see in this excellent museum. There’s also ramped access to the movie theater, where a short introductory film is shown. Another excellent film museum — The Moab Museum of Film and Western Heritage ( www.redcliffs lodge.com/ activities/museum/) — is located near Arches National Park. The museum is located just off the lobby of the Red River Cliffs Lodge, on scenic Highway 128. Although there are steps at the front entrance, an accessible entrance is located around back. It’s usually kept locked, so inquire at the front desk, and someone will open it. The museum contains memorabilia from over 120 movies that were shot in the area, including Wagon Master, Rio Grande,Son of Cochise, Warlock and Cheyenne Autumn. 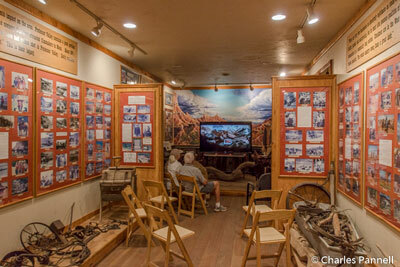 And like the Lone Pine Museum it also includes interesting tid-bits about the movies filmed in the area. Some scenes from the vintage Gunsmoke TV series were also shot in Utah. The filming site is located east of Kanab, and it makes a good stop while traveling between Zion National Park and Bryce Canyon National Park. Take Highway 89 towards Page, then make a left on Johnson Canyon Road. 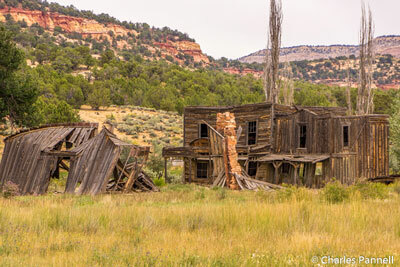 The filming site – which is now pretty dilapidated – is located five miles up the road on the right, across the street from the Indian Cliffs Canyon Ranch. There’s just a wide spot in the road to pull over, and if you look real close you might be able to make out the marshal’s office and doc’s place in the distance. After the series went off the air, the site was purchased by a private investor who hoped to turn it into a theme park type attraction, but over the years it’s fallen into disrepair. Still it’s a fun nostalgic stop, and as an added bonus, the scenic drive through Johnson Canyon is nothing short of spectacular. 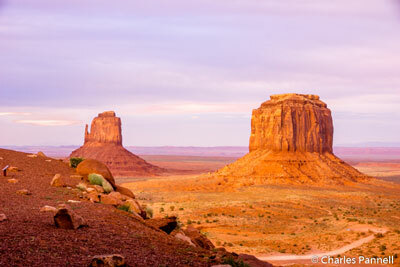 Last but not least, plan to stop in Monument Valley, located on Highway 163, along the Utah — Arizona border. Local resident Harry Goulding introduced director John Ford to the area, and Ford fell in love with the beautiful landscape and subsequently shot Stagecoach there in 1939. After that he continued filming on location there until 1960, and turned out a number of classics including My Darling Clementine, She Wore a Yellow Ribbon andSearchers. You can learn more about the film history in Monument Valley (navajonationparks.org/tribal-parks/monument-valley) at the Welcome Center, located near the park entrance. Accessible parking is available in front, with level access to the Welcome Center. Inside, there are interpretive exhibits about the history of the area, and about Harry Goulding’s efforts to showcase it to Hollywood. There’s barrier-free access throughout the building, and to the terrace out back, which offers a panoramic view of the Mitten Buttes and Merrick Butte, which were often featured in Ford’s films.